• Comfortable and secure fit. • Contains urinary or faecal incontinence. • Breathable and bacterial barrier. People who suffer any degree of bladder incontinence do not want to avoid their favourite activities. The Up360 Incontinence Swim Pants - XS enables people to enjoy their favourite activity without worrying about embarrassing bladder or bowel leakage in the water. They are made from a waterproof nylon material. 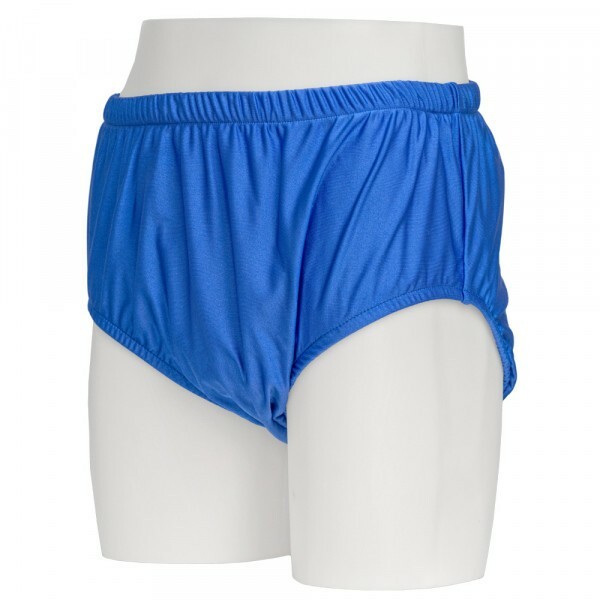 TheUp360 Incontinence Swim Pants have been designed to be worn under regular swimwear or swim briefs. These are sold in an XS (Extra Small) size, but there are others to suit all body types up to Extra Large. These swim pants work for up to heavy incontinence. A regular Attends pad can be inserted to the inside of the Swim Pants. This will help to retain any urinary or faecal spillage accidents that may occur. 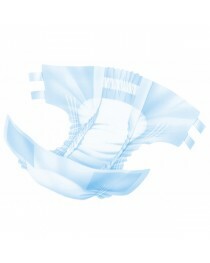 The Up360 Incontinence Swim Pants are made with a blue stretchy fabric that have waterproof capabilities. They can fit discreetly under your regular swimwear. The fabric is also breathable, so you won’t get hot or sweaty. It’s also an effective barrier to bacteria so your skin stays healthy. The Swim Pants have a wide waistband that measures 2.5cm. This helps to keep them tight against the skin for an additional barrier, but will still feel comfortable rather than restrictive. The Up360 Incontinence Swim Pants do not absorb any water, unlike your swimwear. If you urinate or have a bowel movement, it will be contained inside the pant. They feel comfortable to wear. The Up360 Incontinence Swim Pants are also lightweight and discreet, so no one can tell they’re being worn. They fit close to the body. They will give swimmers the confidence they need, and the freedom they require when swimming. There is no need to let incontinence hinder you. The Up360 Incontinence Swim Pants are re-usable. Simple remove the pad after swimming and discard. The swim pants can be easily rinsed under a warm running tap and a bit of soap, if you wish. Carefully wring to dry, then hang up to dry. The swim pants are made of durable nylon that last you through a entire season of swimming and more. The waist measurement on the Up360 Incontinence Swim Pants fits up to 55-85cm/22-34’’. The leg circumference is 38-55cm/15-22.